Small outcropping of tent rocks situated away from the main formations. 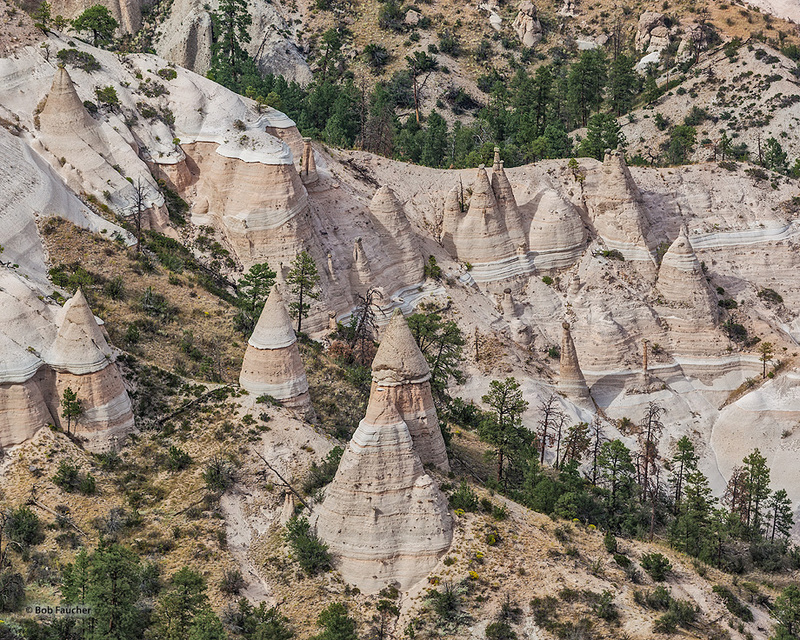 The tent rocks are cones of soft pumice and tuff beneath harder caprocks, and vary in height from a few feet to 90 feet. Photo © copyright by Robert Faucher.